In the digital age, when so much holiday shopping occurs online, how are consumers socially influenced? The answer is: surprisingly a lot. The average adult in the US spends 5 of their waking hours online. But what are we doing online? We’re on social media, we’re reading and commenting on news articles and discussing that internet content with others. Consider the last time you were with a friend and you brought up an article you saw online, or a post from Instagram. This is part of the way that content goes viral, this word of mouth advertising from trusted others. Word of mouth moves even faster on the internet, with websites like Yelp and Amazon at our fingertips, reviewing products and services from plumbers to stereos. Social influence is the highest in virtual contexts when people are engaged in relationships, in real life or within a brand community. This is because we’re most influenced by our ingroup members (people we consider part of our social circle, or group within society, e.g. all people of one race, all people of one social class or all alumni of the same college).1 When we’re engaged in virtual brand communities, we form social bonds with that group, creating an ingroup of people and increasing identification with the brand.2 Brand communities can also invoke peer pressure, like pressure to conform in some undesired group discussion, and establish community norms, created and maintained by the moderators and high profile members of the those communities.2 Check out the graphic for a depiction of the incredibly complex process of creating web content through social influence. Brands themselves have social influence, especially if they are “identity signaling brands.” An identity signaling brand is something that announces you to the world and says, “This reflects who I am as a person.” Not surprisingly, while people tend to stick with the status quo and purchase the same things as others, in identity signaling domains that include displays of wealth or social class, they want to be seen as unique.3 But we all also vary on our need for uniqueness, with some individuals needing to stand out from others, and some preferring to fit in through their choices as consumers.4 For instance, when shopping for a car, someone with a high need for uniqueness may buy a Smart Car (rare here in America), while someone with a low need for uniqueness may buy a Honda (quite common in America). Someone who sees his or her car as an identity signal may be more likely to want to purchase an expensive and rare car, like a Bugatti, to show others that they are different. It is the job of marketers to be persuasive, and to increase demand for products within the community. And, meanwhile, it is human nature to be influenced by the words and actions of others, as well as our own desires to fit in or stand out. Beware before you engage in social activities based around brands this holiday season! Harnessing the power of peers and the power of consumer goods is a potent combination. Algesheimer, R., Dholakia, U. M., & Herrmann, A. (2005). 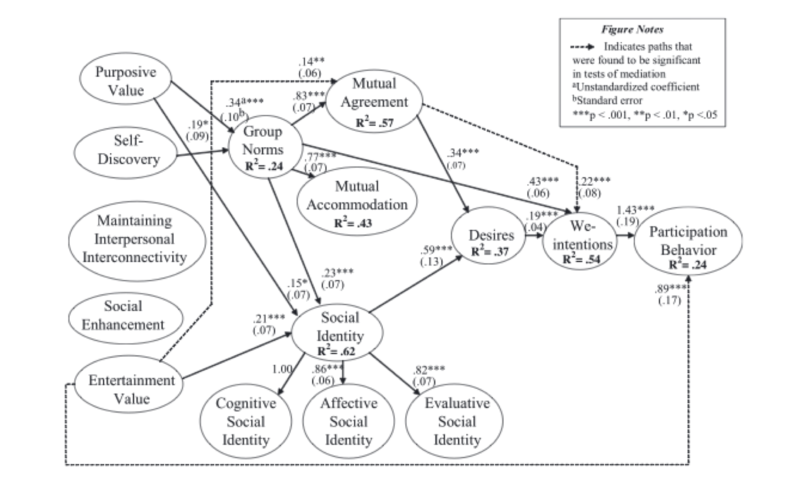 The social influence of brand community: evidence from European car clubs. Journal of Marketing, 69(3), 19-34. Tian, K. T., Bearden, W. O., & Hunter, G. L. (2001). Consumers’ need for uniqueness: Scale development and validation. Journal of Consumer Research, 28(1), 50-66.